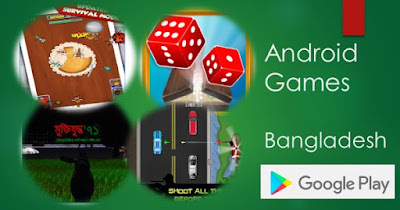 There are many popular Android Games that are made in Bangladesh. Many individuals or company are creating games that can be played in android devices. It is an action game of first person shooting. It is an action game where you have to touch/tap to shoot objects. It is an action game where you have to play while the character is moving side-scrolling. Playing include jump,slide,fit,double jump. Review count: more than 400. It is an action game where you use you have to touch/tap ants on screen to make score. It is a very popular board game in Bangladesh for two to four players. In this game the playing friends race their four tokens from start to finish according to die rolls. It is Bangladeshi Game having Rickshaw driving. It is an action game where once you start your journey you dont intend to stop. It is an arcade game. It is a Bangla action and adventure game where you have to run for your life. 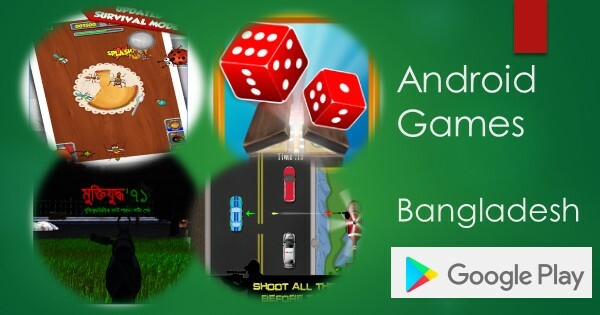 We would like to thank Android Game developer in BD who are creating such popular games.